You should have around 3 good sized fillets of mackerel. Put one aside, remove all of the skin on the back of each fillet. Place all of the ingredients into the blender and whizz up to you have a paste. Shred up the remaining mackerel fillet and stir this into your pâté. Season with salt and pepper to taste. 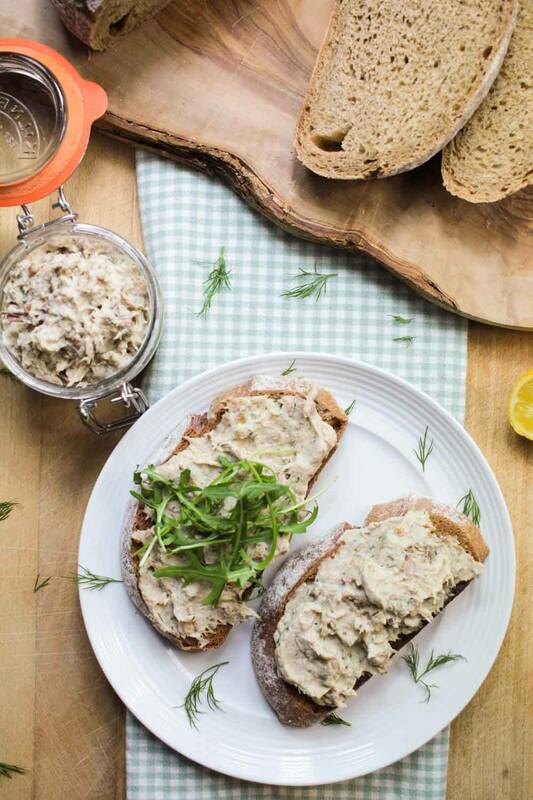 Place the pâté into sterilised jars, seal and place in the fridge until you want to smother it on toast. Use within 3 days.